Cinnamon is a favorite spice whose main attribute is not taste but healing. This is the case for many other spices - aromatic adaptogens, which have become frequent in our kitchen. In our culinary practice, we only use one kind of Cinnamon Cinnamon ( Cinnamomum verum ) in the lowest quality class, which recognizes two subspecies: whole and minced. In fact, however, there are several types and grades of cinnamon that are important mainly due to the use of cinnamon as a drug in the TCM. For the therapeutic purposes, in the Czech Republic, under the name cortex cinnamomi , a much more expensive cinnamon bark ( Cinnamomum cassia ) is used. The chemical composition of Chinese and Chinese cinnamon bark is similar, but at least in Chinese cinnamon we recognize several quality classes that differ in the thickness of the bark (ie aging) and the content of the active substances. The main active ingredient in cinnamon is a volatile oil (essential oil), which consists mainly of hot cinnamaldehyde and also contains diterpenes, phenylpropanoids, lignans, sesquiterpene glycosides, flavonoids and polysaccharides. Genuine Cinnamon and Chinese Cinnamon have aromatic oil of similar composition. Generally speaking, while cheaper cinnamon can be tasted without difficulty, the most expensive types of cinnamon burn as a devil and their tasting, we should prepare a glass of water or vodka to drink, in which cinnamaldehyde is easier to dissolve. 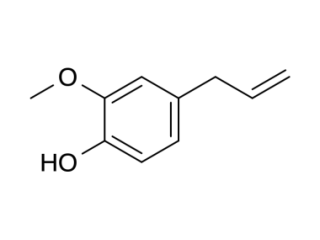 In addition to cinnamaldehyde, the second major fragrance of cinnamon is eugenol, which is commonly found in many other fragrant oils of plant origin. (Typically, after the eugenol it smells like a clove.) Cinnamon also contains common plant defenses, such as coumarins. 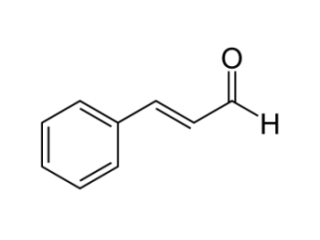 Cinamaldehyde is a highly aromatic compound that acts on the warm (so-called "vanilla") receptors, causing a feeling of warmth. Its effect, however, is far greater than just a taste. Cinamaldehyde is responsible for most of the traditional use of Chinese Cinnamon, which is used in TČM to treat inflammations , mainly digestive tract, diarrhea, diabetes and cancer ( Zaidi2015rdp ). Cinamaldehyde kills microbes, insects and intestinal parasites - so cinnamon is so popular in stomach troubles . For us, from the trees of the fallen animals, whose food was always full of triterpenoids and flavonoids, cinamaldehyde is miraculous as a miracle. As a small, relatively non-polar molecule, cinnamaldehyde easily finds way into all corners of our body, including the CNS, and interacts with dozens of nerve and somatic receptors. The most important thing, however, is the ability of cinnamon to suppress diabetes. Cinnamon belongs to those medicinal plants that have the ability to lower blood sugar. It is difficult to say whether its effectiveness in diabetes and overweight is more of a consequence of a decrease in blood sugar or its effect on the heat receptors. Once in herbalism, the doctrine of the signatures, according to which the herbs of the will of God point to their curative effects in the shape and color of their leaves or other organs (eg pulmonary leaves remind the lungs, leaves of the liver of the lining of the liver, etc.) Although we do not believe in the signatures or the gods , cinnamaldehyde's ability to stimulate sweet taste receptors and possibly vascular sugar receptors that keep the sugar level in our blood vessels can be remembered for cinnamon. Cinnamon also fights atherosclerosis (a common complication of diabetes) and minimizes its antiseptic effects by suppressing the infectious complications of diabetes. 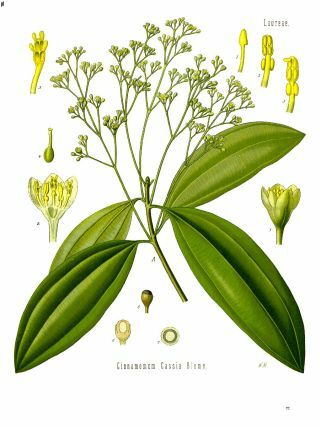 Since it is not in the power of an individual to scientifically review all medicinal plants, I refer to those interested in the claims made here (NCBI search cinnamomum cassia + diabetes). The combination of cinnamon and daisy Indian treats the day ( Lee2017sua ). Regarding the undesirable effects of common coumarin defensives found in cinnamon crust, animals from tropical forests are obliged to bear without difficulty, and certainly do not need European directives against the content of coumarins in food and beverages.